Find places to stay in Oregon and other fun things to do. View our list of attractions, activities, events, restaurants and visitor information. Currently as low as $124.42/night! 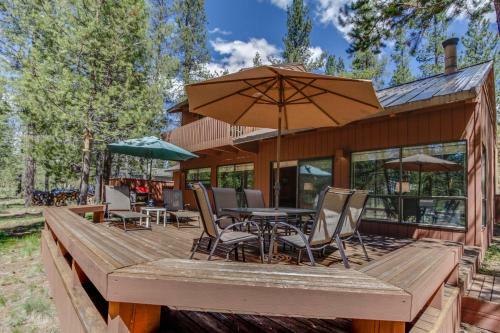 12 Deer Lane is located in Sunriver. Guests staying at this holiday home have access to free WiFi.The holiday home includes 2 bedrooms and a kitchen with a dishwasher and an oven. A TV is provided.Bend is 23 km from the holiday home. Swimming Pool. Currently as low as $144.99/night! 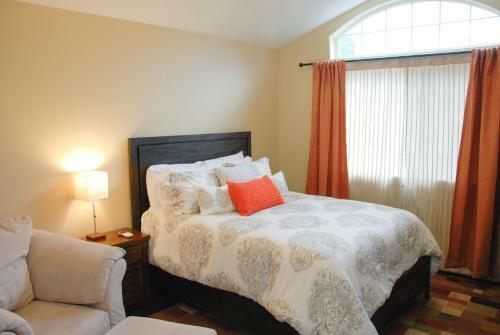 Located in Portland 1431 NW 53rd - a BnB in Forest Park has a garden a terrace and a shared lounge. Located around 2.5 km from International Rose Test Garden the bed and breakfast is also 2.7 km away from Washington Park International Rose Test Gardens. Free Internet, Non Smoking Rooms. 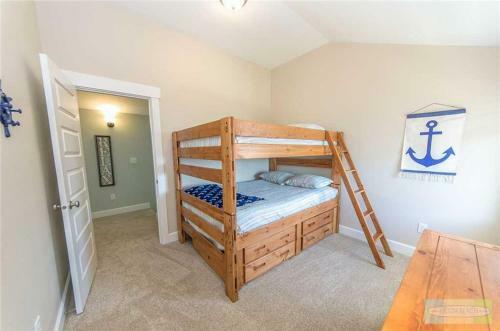 Situated in Beaverton 7 km from Fred Meyer Raleigh Hills Center Shopping Center 7 km from Bauman Park and 9 km from The Dreamer 153rd Ave Townhouse features accommodation with a balcony and free WiFi. This property offers access to a patio. Non Smoking Rooms. Currently as low as $137.69/night! 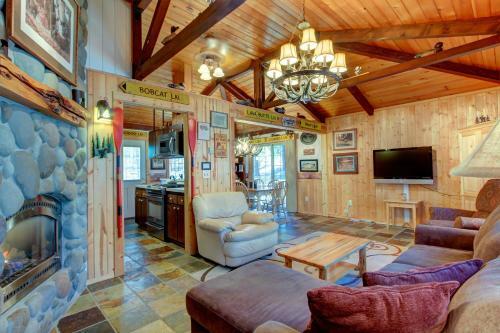 6 Pine Cone is situated in Sunriver. Guests may enjoy free WiFi.The holiday home includes 3 bedrooms and a kitchen with a dishwasher and an oven. A TV with satellite channels is featured.Horse riding can be enjoyed nearby. Swimming Pool. Boasting a fitness centre 9th Avenue Apartment by Stay Alfred is situated in the centre of Portland close to Portland Art Museum and Powell's City of Books. Complimentary WiFi is provided. Free Internet, Non Smoking Rooms. Currently as low as $244.00/night! A Bit of R & R Three-Bedroom Home is a self-catering property situated in Lincoln City near Lincoln City Outlets. Guests staying at this holiday home have access to free WiFi and a fully equipped kitchen.The holiday home comes with a TV. 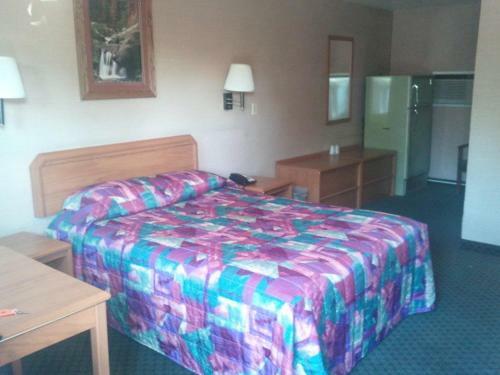 This Klamath Falls motel offers simply furnished rooms with free Wi-Fi. It serves a daily continental breakfast. Klamath Falls town centre is 5 minutes' drive away.A cable TV with HBO film channels is featured in each guest room at A-1 Budget Motel. Free Internet, Pets Allowed, Non Smoking Rooms. 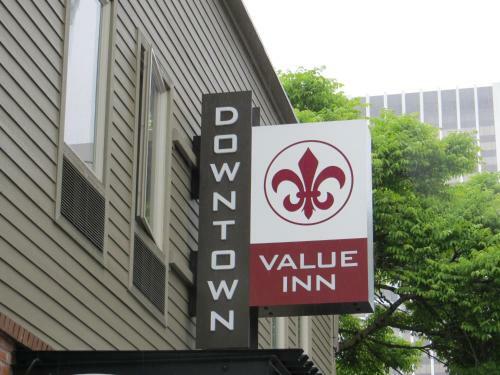 Reasonable rates and free Wi-Fi access near Portland State University are signature features of the non-smoking AAE Portland Downtown Value Inn. Free Internet, Non Smoking Rooms. In-room microwaves and mini-fridges bring additional value to budget-friendly room rates at the Aaron Motel eight miles from downtown Portland. Free Internet, Non Smoking Rooms. Currently as low as $194.25/night! 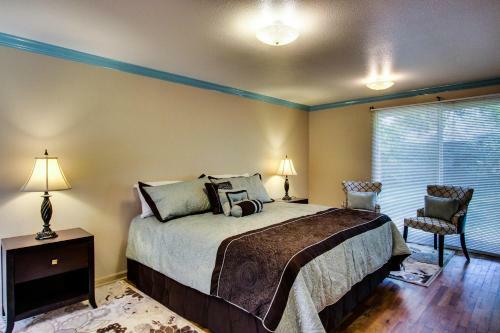 Abbot House - Three Bedroom Condominium is located in Sunriver. This apartment also features free WiFi.This apartment comes with 3 bedrooms a kitchen a flat-screen TV a seating area and a bathroom with a hot tub.Skiing can be enjoyed nearby. Currently as low as $127.20/night! A gourmet shop on-site dining options free Wi-Fi and a stellar location lead the way to the non-smoking AC Hotel by Marriott Portland Downtown. Free Internet, Free Breakfast, Restaurant, Pets Allowed, Non Smoking Rooms. Currently as low as $441.00/night! Set in Sunriver in the Oregon region Acacia Lane 2 - Four Bedroom Home has a patio. Guests have access to free WiFi.The holiday home includes 4 bedrooms a bathroom with a hot tub and a bath or shower a seating area and a kitchen. 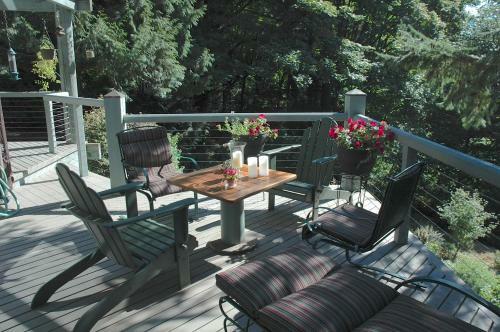 ACE Cabin Home is located in Waldport and offers barbecue facilities. Guests may enjoy free WiFi.This 2-bedroom holiday home comes with a seating area a flat-screen TV a DVD player and a kitchen with a dishwasher. Non Smoking Rooms. Currently as low as $149.39/night! 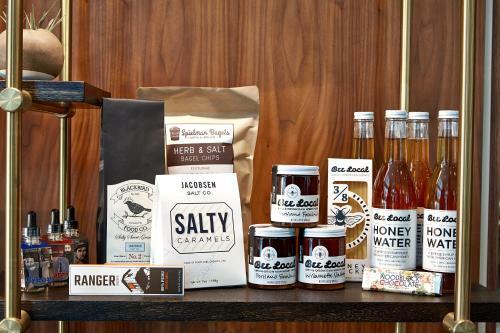 True Portland style shines through at the iconic downtown Ace Hotel where Wi-Fi is free bike rentals are complimentary and coffee is plentiful. There's nothing standard about the 79 rooms in the four-story eco-friendly Ace Hotel. Free Internet, Restaurant, Pets Allowed, Non Smoking Rooms. 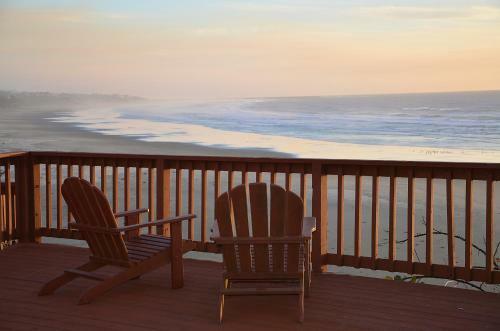 Set in Waldport Addy's Beach House Home provides self-catering accommodation with a balcony and free WiFi. The property has sea views.This holiday home comes with a seating area a kitchen with a dishwasher and a flat-screen TV. Non Smoking Rooms. Currently as low as $274.50/night! After Dune Delight Three-Bedroom Home offers accommodation in Lincoln City 1.2 km from Lincoln City Outlets. Complimentary WiFi is provided.The holiday home is fitted with 3 bedrooms a living room a dining area and a well-appointed kitchen. 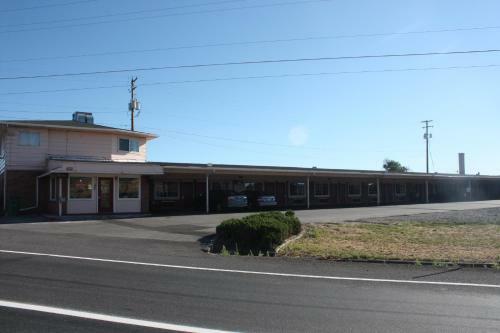 Agate Beach Motel is located in Newport 1.4 km from Yaquina Head Lighthouse and features barbecue facilities. 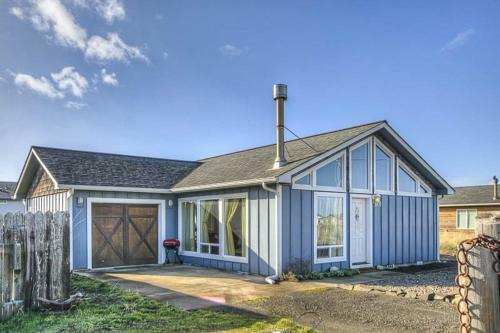 The property is around 6 km from Yaquina Bay State Recreation Site 6 km from Hatfield Marine Science Center and 7 km from Oregon Coast Aquarium. Free Internet, Pets Allowed, Non Smoking Rooms. Currently as low as $259.34/night! 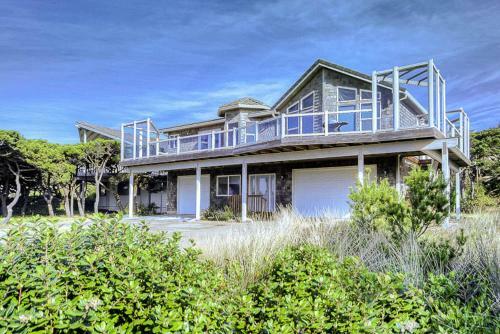 2 km from Yaquina Head Lighthouse Agate Beach Oceanfront Lodge is a beachfront property in Newport providing amenities such as a kitchen and TV. Al Manar Condo is situated in Waldport. This apartment offers accommodation with a patio and free WiFi.The apartment has a satellite TV. 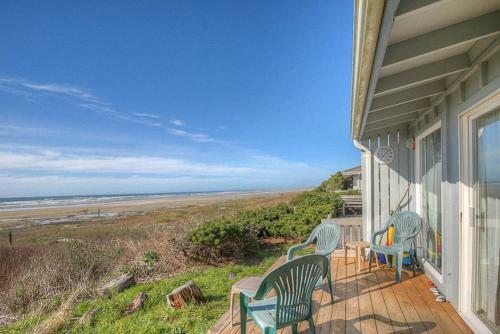 The accommodation is fitted with a kitchen.Newport is 21 km from the apartment while Yachats is 15 km away. Non Smoking Rooms. Free Wi-Fi free breakfast and a location close to a hospital the freeway and downtown make the non-smoking Aladdin Inn and Suites a real steal. Renovated in 2010 this low-rise hotel offers 56 guestrooms with free Wi-Fi hairdryers and cable TVs. Free Internet, Free Breakfast, Pets Allowed, Non Smoking Rooms.